We take a holistic approach, giving consideration to the physical, emotional, mental and spiritual factors that affect your health and wellbeing. Body-centred Psychotherapy uses the body to access sub-conscious layers of the mind. It is based on the pioneering work of Wilhelm Reich, and developed by my teacher Gerda Boyeson in London. 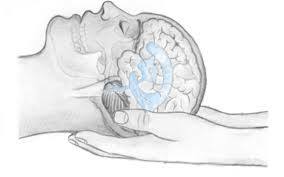 This therapy is based on the understanding that whatever happens in the mind is reflected in the body. For example, if you are mentally anxious, this will be reflected in a restricted breathing pattern and tensions in the chest, jaw and other areas. By using specific exercises to release physical blocks, the corresponding mental issues will also be relieved. Movement Therapy combines dance with hatha & tantric yogic techniques to release held areas in the body. It provides a powerful way to let you feel more vitality and aliveness, and will help you to re-connect with your body in a very direct manner. No prior experience necessary. 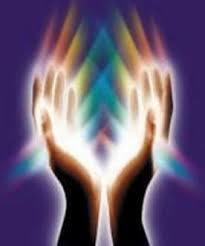 Reiki Individual sessions are to assist and promote healing, inner balance and general wellbeing. Restorative Yoga is for those seeking calmness, healing and tranquility. We use Hatha Yoga practices to bring healing to the stresses in the body, and to encourage a state of relaxation and mindfulness. We will focus on recovery from injury or illness, release of mental-emotional stress, and correcting imbalances in immune, endocrine and energy systems. Individual sessions and classes available. If you would like to speak to us about your individual needs, we are happy to meet with you for an initial consultation, free of charge, so that we can get introduced, and help you decide what is the most beneficial program for you. Costs for all sessions are by donation. All sessions are 1 to 1.5 hours. Arrange to meet us for a chat.. Copyright 2009-2019 awaken-love. All rights reserved.